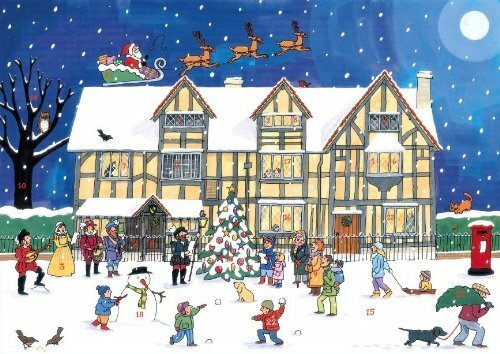 This advent calendar depicts a beautiful Christmas scene at the Old Town House. The tree is ready, a fire is in the hearth, and snow is falling, all while Santa Claus readies his visit. Find a festive illustration behind the door each day counting down to Christmas!